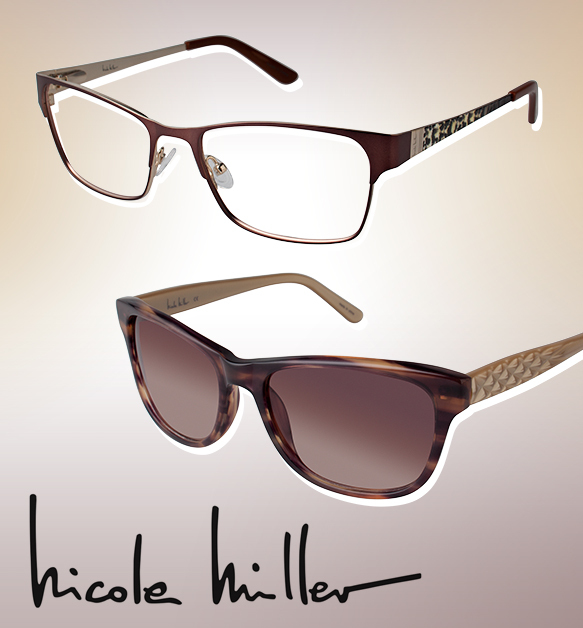 With the season in full swing, Nicole Miller has released two fresh styles for summertime-lovin’ ladies! Inspired by her love for animal prints and textures, the “East” specs flaunt leopard-patterned temples, not to mention a sleek rectangular silhouette in rich, metallic burgundy—a design that can be dressed up or down for any warm-weather shindig. Meanwhile, the easy-to-wear “Sutton” sunnies are total musts during this non-stop sunshine! Classic tortoise, coupled with soft caramel, is the perfect neutral color combo. To boot, gradient lenses and textured temples—reminiscent of the brand’s diagonal striped dress—put the finishing touches on this sought-after sunglass! Check ‘em out below.